*~anyway~* , the birthday party went well. 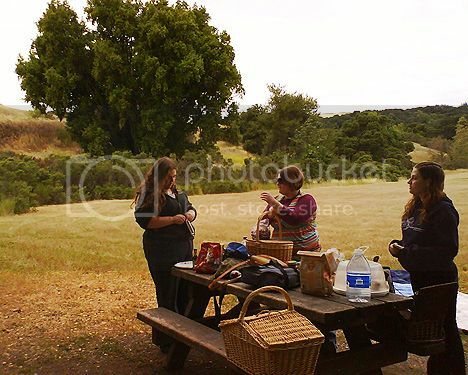 We had a picnic at Rancho San Antonio, met more people at home, went to buy boozes and lounged about until the party dissolved. I'm not sure if I'm going to have another party, since this one ended up being a lot bigger than I'd originally planned, and having another party might seem kinda pompous. Maybe I'll just organize another get-together. Someday I will have a real camera again. But OT: Are you aware of this? I hope you're going. That sounds really awesome. I'll look into it, but we might be too busy. That would be really neat, though. How come I wasn't invited huh? Ps. Hey wait a minute... did you send me and countless others an email with two links? I'm sorry! I'll have a brain party for everyone on the internet. And sorry about that, I think it was just a phishing incident. It should be okay now, but if it happens again feel free to tell me. Maybe aliens infiltrated my account. yeah, whats with that? also i declare my haircut and your bday picnic a success.